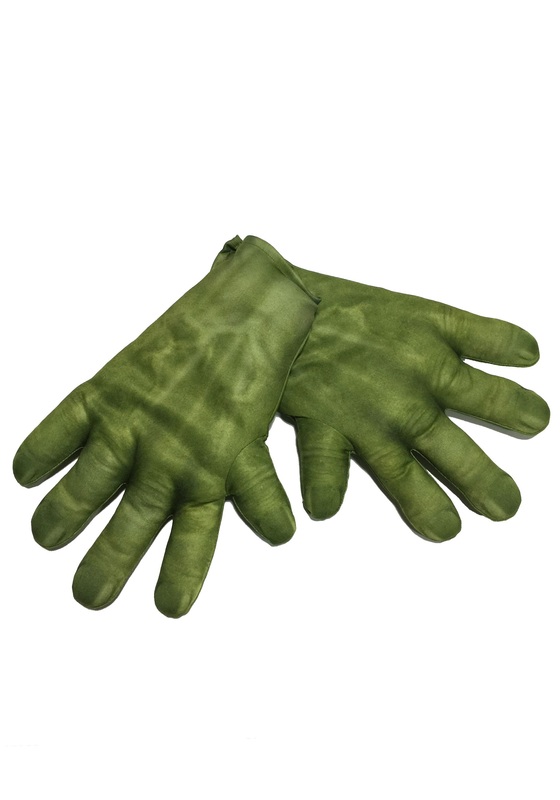 Whether it's Ultron, Iron Man, or a common street thief you're tasked with taking down, these Adult Hulk Avengers 2 Gloves will make you at least feel as powerful as that enormous green guy The Hulk himself. Since we are all entering the Age of Ultron, we really recommend that you exercise caution, and you know what they say: a good offense is the best defense... or something wise like that. Anyway, we have it on good authority that when you pick up these sweet gloves, you will benefit from the appearance of strength, the confidence that comes with that, and hopefully the fear these bad boys inspire in the hearts of all evil-doers! There will be a lot of tough battles coming your way, so crush the competition, yeah? Pro tip: don't wear your favorite tees with these—they're known to get ripped somehow.